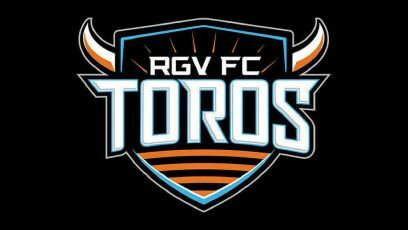 The RGV FC Toros erased a two-goal halftime deficit with three unanswered scores in the final 45 minutes to pick up a 4-3 win against Seattle Sounders FC 2 on Sunday at Starfire Sports Complex in Tukwila, Washington. The victory, RGV FC’s first since July 1, snapped a six-match winless streak. Kyle Murphy, Jorginho James, Jose Escalante and Joseph Holland all tallied for the Toros as the team hit the four-goal plateau for the first time this season. The win moves RGV FC to 7-10-4 on the season for 25 points and a 10th-place tie in the Western Conference standings. The Toros are just 1 point outside of playoff position, with Tulsa Roughnecks FC and Orange County SC tied for eighth with 26 points. Felix Chenkam scored first for Sounders 2 in the 10th minute, and Murphy leveled the match with a header in the 23rd minute off a cross from Escalante. Seattle then opened up a two-goal lead before the halftime break, as Zach Mathers scored in the 36th minute and Francisco Narbon tallied in the 42nd minute. James started the comeback for RGV FC in the 52nd minute when he dribbled around a defender and fired into the lower-left corner of the net from about 25 yards. Escalante leveled the match at 3 in the 61st minute, making a move past a defender and sending a sharp-angle chip shot from the left edge of the penalty box into the far side of the net. Holland scored the game-winner from a similarly tight angle just beyond the right edge of the penalty area in the 68th minute. RGV FC will be back in action at home Saturday against Phoenix Rising.